I must have forgotten about this thread. This is what I posted in the General Discussions/Latest Purchases/Currently Playing thread back in December. Location: The East warehouse over at Lairdman island. Recently I bought my second WD TV Live box, a product I would definitely put my stamp of approval on. It allows you to stream any type of media file to your TV in addition to having native apps for Netflix, Hulu, YouTube, Vimeo, Spotify and dozens of other internet channels. There's also a USB port for hooking up your flash drive or portable HDD if you have media stored on those. IMO it's superior to the Roku & similar boxes, especially at this price point. Looking to buy old Kool aid flavors no longer produced. Nintendo made a adapter for the advance but the ds your out of luck on unless you want to drop 3000 on a convertor or crack open your ds and solder some stuff in. Last edited by Stingray69; 05-06-2012 at 02:19 PM. For Gameboy Advance games, there was the Gameboy Player, an add-on that attached to the bottom of the Gamecube. i have 2 or 3 of those if you need one.. I bought my first mechanical keyboard. It is actually quite incredible, man. It feels so good, and the noise is so satisfying. This one is going to be for work. The picture is from my cubicle. 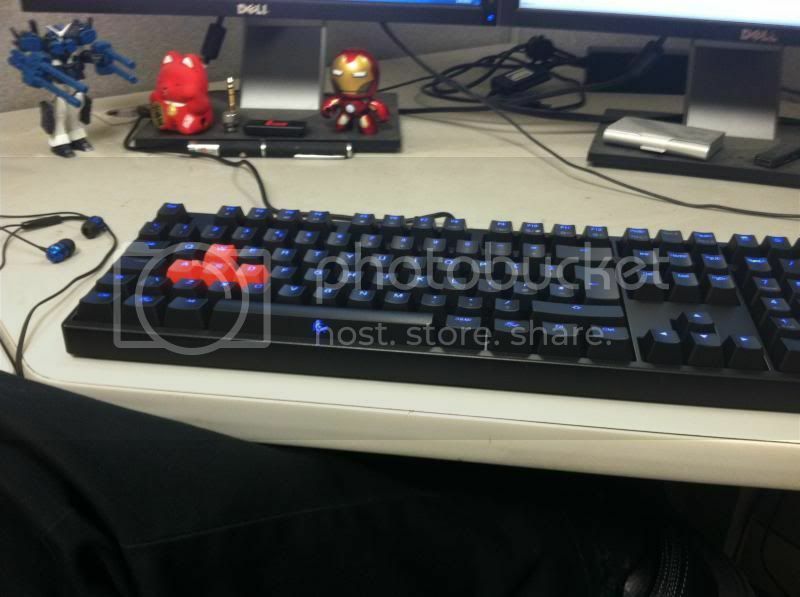 I intend on picking up another with blank white keycaps and Cherry MX Blue switches (clicky loud keys.) That one will be for my home computer. Got me mum an Android tablet for mother's day. She wants something to play like mah-jong on because my dad is constantly on the computer when he'd home. Picked up yet another mechanical keyboard. I took the backlit one to work and I'm leaving this one at home. 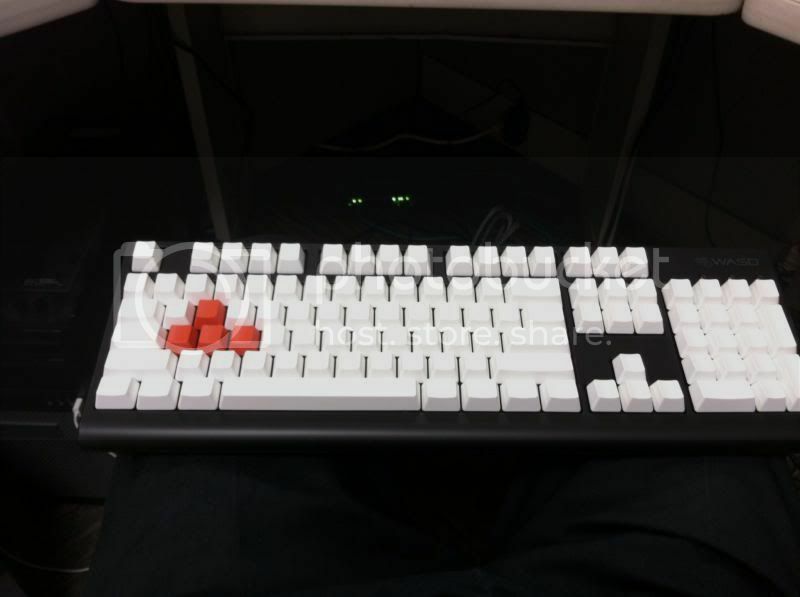 I got blank keys for a sleek look, with the WASD keys red of course. Crutchfield had a sale on this, but I wanted to see if this store had it since I could probably get a discount on it with Cruchfield's sale price since my uncle has connections. Unfortunately, the store didn't have any left, and I was going to take advantage of Crutchfield's sale, only to find out that it was over. I then placed an order for it on Amazon since it was on sale there for the same price. Since they still hadn't shipped yet, I decided to go to this one store to see if they had it, and they did. It was also on sale. So I just got it there instead, and canceled my order at Amazon. It seems to even play DVDs well, and even this one DVD-R movie I have that my DVD player couldn't really play. Despite all the other bells and whistles it has, the Netflix feature is the only one I'm interested in. Not really a purchase, but we got signed up for Dish and I got a free iPad 2. Bought one of those Nook HD+'s recently as my first foray into the world of tablets. Been using Comixology, Marvel Unlimited and a fantastic little app called Comicat to read comics on it, which is very pleasurable. Also been enjoying watching the World Cup highlights on BBC iplayer after the lives games are finished. Used Netflix on it as well - great times. I bought a desktop fan. Whoo. i bought a new fan and screen for my laptop, now just to put the thing back together. 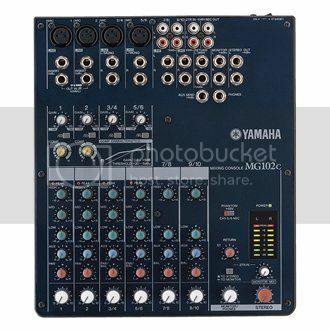 I bought a Yamaha MG102c mixing panel. A new cellphone; a Samsung GR-C3590. I bought for mother's day that Velvet Smooth for my mother. Had no idea it was battery operated, so I guess it fits here.